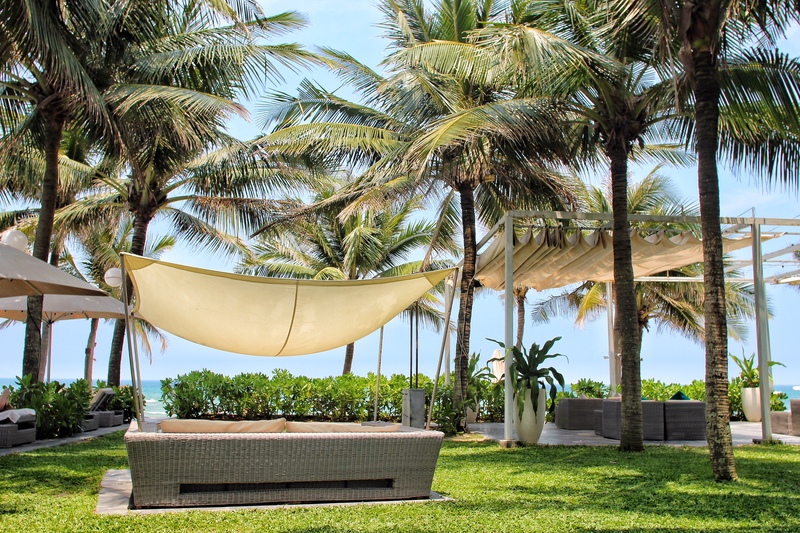 Fresh, at Fusion Maia Danang, is the ideal spot for a tropical lunch. 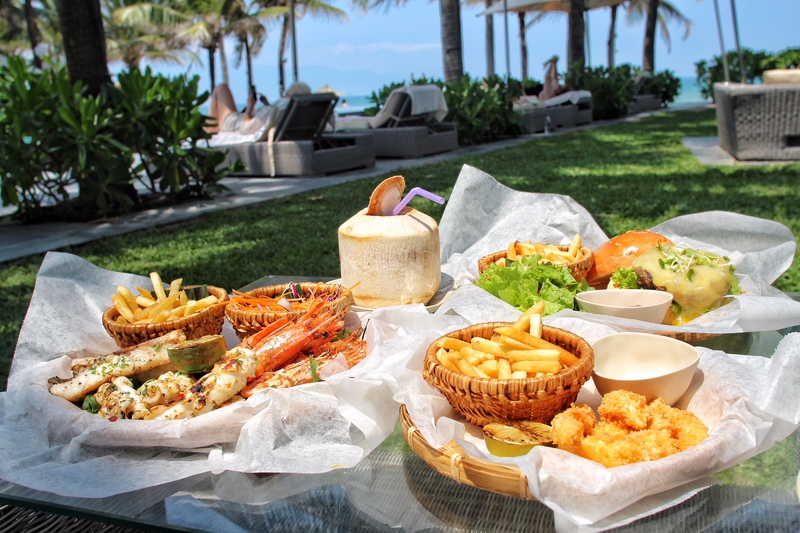 We loved sitting beneath the palm trees, gazing at the sea and devouring mouthwatering fare. 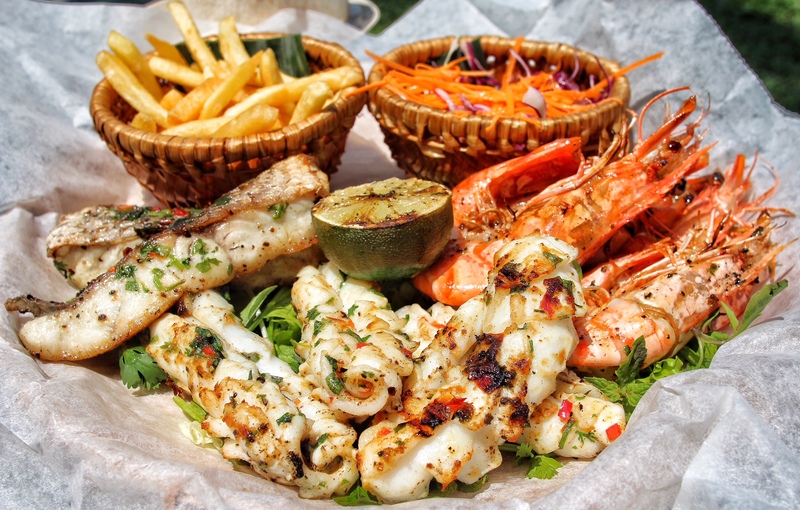 We highly recommend ordering their decadent Fresh Seafood Basket, great for sharing and featuring a perfectly prepared selection of Sea Bass Fillet, Tiger Prawns and Squid. 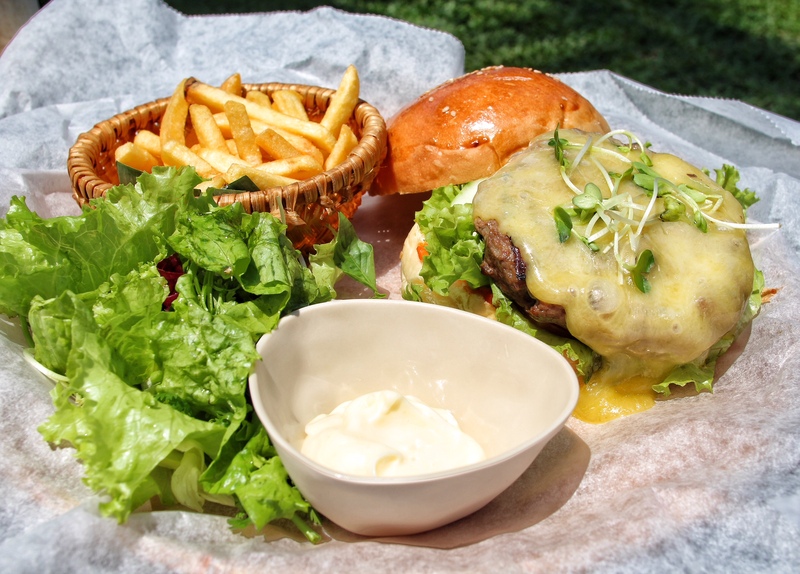 For those seeking comfort food, the burgers extremely juicy and pair perfectly with a cold beer. 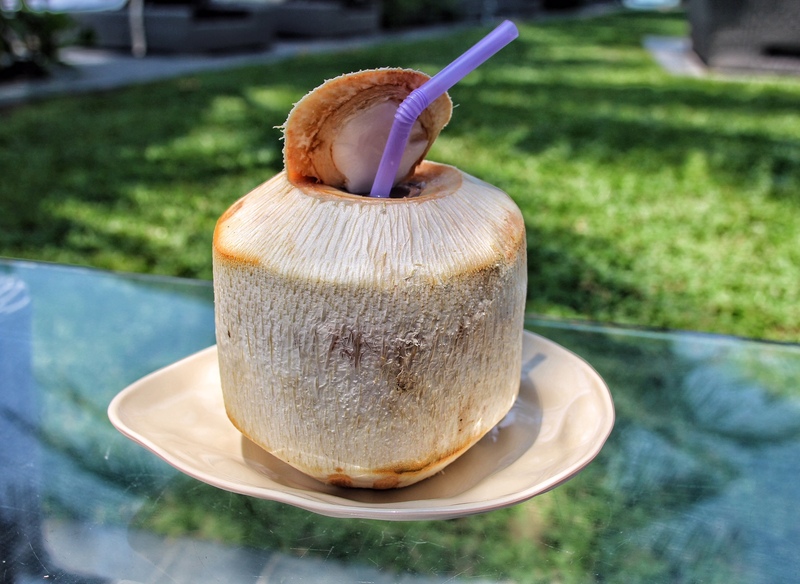 The menu also includes plenty of child friendly options such as chicken fingers and pizzas, and don’t forget to check out the cocktails, fresh juices, and coconuts for a refreshing accompaniment.